Residents of Columbus, Ohio are no strangers to dealing with storms and their consequences. Some storms are simply too strong and cause damage no matter what precautions are taken. However, there is much that can be done to minimize the damage caused by storms and decrease the amount of restoration required after the fact. Southeast Restoration, located in the Columbus area, is ready and qualified to assist you with all your storm damage restoration needs. brittle, and it doesn’t take much for them to snap off the tree and become dangerous projectiles in the wind. 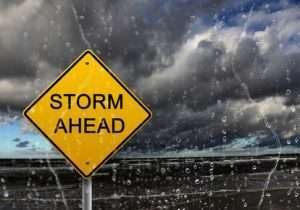 If you do all you can to prevent loose debris from being near your home before your storm, you will be off to a great start in preventing serious damage to your home due to a storm. Federal Disaster Assistance is a program offered by the federal government that offers cheaper options for home repair and neighborhood rebuilding after serious storms. This doesn’t apply to minor storms, but if your home is damaged in a serious storm on a large scale it would be wise to look into this program. You’ve got nothing to lose in finding out. The most basic way to overcome drainage problems is to simply keep your gutters clean of leaves and other debris. Not doing this causes excessive pressure on your rain gutters and can cause the gutter to break or flooding to occur outside your home. but that is not all. Make sure that there are no areas around your home where water drains on to the foundation. This can damage your home’s foundation. Landscaping professionals are the ones to talk to prevent issues like this from occurring. One way to ensure that the damage done to your home is lessened is to install impact-rated windows. In areas where storms are very prevalent, this is an option that should be seriously considered. The strongest models of these windows can withstand the force of a two-by-four being slammed into a window by thirty-plus mile-an-hour winds. Following the guidelines above will give you a lot of peace of mind regarding the destructive influence some storms can have. Yet, Mother Nature sometimes has very different plans. If you find your home in the Columbus area in need of storm damage of any kind, don’t hesitate to contact the pros at Southeast Restoration. With our professional training and equipment, we will restore the damage done to your home in a safe and efficient manner.